Does anyone else find the BA website to be incredibly slow? It feels like it has too much animation and even on my powerful work PC it is slow! I keep getting redirected to British Airways’s %&£ppy beta site and unwanted localised links whenever I access the BA site now. The beta site keeps hanging, takes ages to load unwanted things and is generally pants. I have no idea why British Airways is loading their screens with so much unwanted stuff. Big fan of the virgin PE – i’d happily use it on daytime flights, overnight i admit it’s not as comfortable as the upperclass bed. The ‘wonderwall’ on the dreamliner & a330 was a fun touch also – much better selection of things than BA’s Club kitchen in CW. Does BA have a wonderwall equivalent? Out of interest, is there an equivalent to Club Kitchen for BA F passengers? Depending on the crew in F they will either ask what you want and fetch it for you from the Club Kitchen, or politely suggest your stretch your own legs. We travelled CW from LHR to BKK on Saturday afternoon. I ate lunch and needed some more sustenance so headed for the galley. Was just browsing and the FA approached me with more than a little OTT attitude with ‘can I help you, Sir’. What help could I possibly need with looking in the fridge? Seriously, go away. I took a sandwich and a pasta and returned to my seat. His attitude continued for the entire flight. Get a grip. Alternatively you could have followed the requested passenger procedure by staying in your seat and calling for a FA who would have bought you something. Really? Another attitude problem here? The guy didn’t like my face from the off. Some sort of inferiority complex which is quite prevalent on BA. Though, the female FAs were excellent. Definitely not something we experience with EVA or Thai. Anyway, the galley fridge is help yourself. Agree there seems to be some staff who have the inferiority complex but i don’t believe its likely not just you but several people per flight they decide to pester. Looking forward with interest to your reply, Cate. If you feel strongly about this then you should put a complaint in to the airline. Being a bit OTT myself I usually ask a FA to get me something from the Club Kitchen, saying I don’t want to get in their way. They usually bring me loads which I stick in the storage drawer. I rarely bother them for the rest of the flight so hopefully I’m forgiven. Slightly OT, but Virgin PE related so this was good timing. With the upgrade vouchers, do you pay the taxes for economy or premium economy with the redemption. I’m hoping it’s the former rather than the latter, but I expect to be disappointed! PE surcharges, but as long as you don’t depart from London it should be modest. Thank you. Probably going to have to leave via London as PE redemptions are largely snapped up from the regions from what I can see. PE. It is primarily extra APD which the Government pockets. O/T – The IHG points break is live – there is no published list yet but I have made bookings at those that were released on the preview list. Flying PE used to be the family “default” for long haul holidays. Whilst clearly not a patch on business the extra space makes a huge difference vs. regular economy and makes a flight tolerable (but less so for night flights). Also, as a BA FF the extra tier points have been helpful for keeping my Gold status. However, thanks to HFP, over the last 2 years we have flown business class with both BA and AA by securing excellent value ex-EU fares. Sadly the chaos of a house move earlier this year meant I left it too late to find a good cash deal (and there were also no Avios options available for our preferred destinations in premium seats over school holidays). So, we’ve bitten the bullet, paid cash and are flying outbound to the US later this year on the new AA premium economy product on a 777-300 and back in BA WTP on an A380. To compensate for the flight “downgrade” we have “upgraded” our hotel at the other end!! Does anyone have experience of the AA product? How does it compare with BA and VS? I’ve flown a fair bit on VS PE and enjoy it. Last year I (and my 2 young boys) got upgraded on a new BA 787 to TLV to WTP at check in. Nice but not as good as VS IMO. I think the entertainment choice was better on BA but I preferred the food and rest of the experience that Virgin brings (nicer crew etc too). Reads a bit like an advertorial but still an interesting insight. This was the Economy Delight press flight we were on last week. Report to follow in a week or so. Another benefit I find flying with Virgin is the Gogo inflight wifi. Basic messaging pass for the entire flight is approx £2.50 but every time I’ve used it, I’ve also received full browsing functionality. 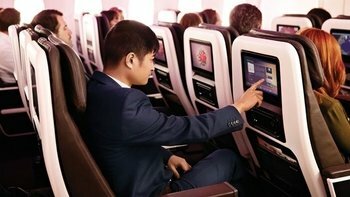 Flew Virgin PE last summer and was not impressed. Pre-ordered vegetarian food and they gave us the vegan options (which were yuk) but we could not have the veggie option on the menu which was much nicer as you have to pre-order because otherwise they cannot guarantee that you get the non- meat! I would not have thought it beyond the wit of man to put aside a couple of veggie meals for those who had pre-ordered! I have flown Virgin PE and BA WTP quite a few times and much prefer Virgin PE. Free seat selection, dedicated check in, priority boarding and especially the better seat width all make it superior. The food on Virgin isn’t quite as good but I am not particularly bothered about that. Last flight on BA WTP was from Santiago to LHR on a 787 and it was not very comfortable and I am now avoiding flying BA altogether except for Club Europe flights but only if I can get a good deal. You should also mention Virgin’s unreasonable cabin baggage allowance. While BA allows 23kg 56x45x25cm, Virgin allows only 10kg 56x36x23cm (26.4% smaller by volume). This means that even a Rynair-compliant 56x40x20cm bag isn’t allowed on Virgin. 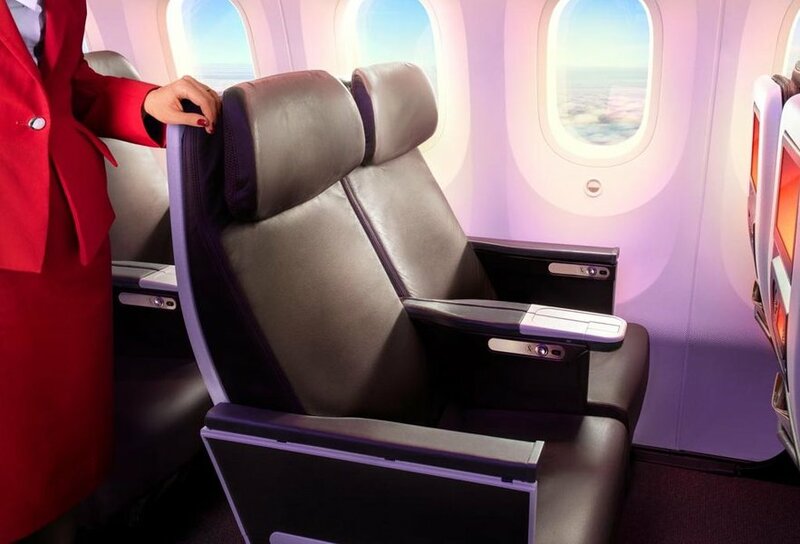 After factoring in the cost and inconvenience of having to buy special Virgin-compliant cabin baggage and further limiting the contents to a pathetic 10kg, BA seems more attractive. Great, informative comparison. I flew BA PE for the first time in many many years in January. Not that impressed – seemed to be rubbing shoulders with the chap next to me and 10 rows of PE on the A380 hardly made it an exclusive cabin. More worryingly however was the pretty poor food, especially the presentation. Can’t imagine what VS is like if it’s worse than BA!